A few of the picks. Ok, I'm finally getting back to posting! It's feels like it's been forever (and kind of has) because we went on a vacation to the Outer Banks, NC (which was actually so much fun) and then the in-laws were visiting, and then Teddy got sick, so I'm finally sitting down to write! After such a heavy topic of postpartum anxiety and depression, I wanted to come back with something light-hearted and fun. And so, here goes. One sure fact about me is that I don't like to do the same thing twice (except make the same mistake--that I've done over and over and over again). Anyway, movies, books, restaurants, life experiences, if I've seen it, heard it, done it, I'm over it. I'm not saying I never watch a movie twice, there are a few exceptions (Alice in Wonderland, Baz Lurhmann's Romeo and Juliet, and Dazed and Confused) or downed the same smoothie on repeat at SouthBlock every Sunday, but really, I feel there like are so many options and new things available, that I hate to repeat. Believe it or not, I don't even watch a Real Housewives episode after I've seen it! There are so many experiences to be had and places to go, so why do the same thing twice? Once in a while however, I do break that rule for books. Books seem to take me so many places in so many ways, that a few of them need a second, third, or even a fourth read. It was really hard to whittle down, but below is a list of books that really left me wanting to go back again. 1. 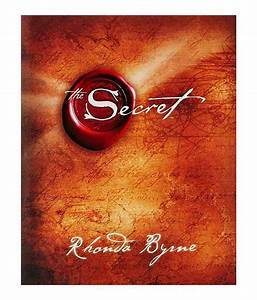 The Secret, Rhonda Byrne - Say what you will but I've read this book THREE times now. I first read it after it was featured on Oprah and (as I remember) took the country by storm. I honestly read it front to back looking vainly for 'the Secret'! lol. I didn't realize it actually was the law of attraction, plainly told, and I read the whole thing flipping through pages back and forth looking for some miracle that was going to change my life. Mirroring the essence of the book, the law of attraction actually is right in front of you, and you just have to see it. Did I lose you? So obviously, the first time around, I didn't get it. Then, during a really rough time in my life, I read it again, and it began to make a little more sense, resonate a little deeper, but still, I was still at a point in my life where the lessons would've really spoken to me, if I had just taken the law of attraction, changed my thoughts, and put it into effect. But again, I didn't get it. Fast forward to surviving postpartum anxiety, and it's amazing how being pulled to your knees can make you see life in an entirely new perspective. I was so thankful and so gratuitous for every moment of happiness after that struggle, that I truly feel like I'm on an entirely new wavelength. Finally, the lessons made sense. Sounds crazy, but guess what? I don't care! I work on implementing the law of attraction every single day. 2. Shantaram, Gregory David Roberts - This book was something else! If you haven't read it, set aside a lot of time, because it's one long wild ride through freedom, rebirth, love, relationships, evolution, and of course Mumbai's slums. Author Gregory David Roberts details a semi-autobiographical memoir based loosely on real-life people that he encountered after escaping from an Australian prison in the 80s. This book was such a trip and written in such a detailed prose that 7 years later, it's still fresh in my mind. Not for nothin' but this former-drug-addict-ex-con-turned-author can really write! It's said that Johnny Depp bought (or pushed for Warner Bros. to purchase) the movie rights and that Russell Crowe would play Roberts, which I can totally see. 3. Mischling, Affinity Konar - I'm not gonna lie, you've gotta be in a really good headspace to read this book. I really went to a dark place reading this book. It made me so sad, and still does, to think of the fact that these things really happened to real people in real life. Mischling means 'mixed-blood' and the book details the horrific atrocities against Jews, and others, in Nazi concentration camps during WWII. Specifically, it tells the terribly gut-wrenching and heart-aching tale of twins Stasha and Pearl at the merciless, sickening mind and hands of Dr. Mengele and his inhumane (to put it lightly) experiments implemented on the twins, their bond and their psyche. I don't want to give anything away, but this novel was beautifully written, and despite the grotesque horrors it details, it highlights a beautiful bond of an almost unbreakable human spirit. It's hard to read, but worth the pain. 5. 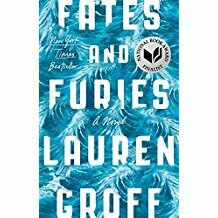 Fates and Furies, Lauren Groff - WTF. Really. W. T. F. Did anyone get this book the first time around? I mean I loved reading it but I spent the entire time trying to understand the prose, the real intent of the voice (because I feel like the voice was hiding things if you weren't paying attention), and wtf was going on. If you did get it, I'm assuming you're an Ivy League grad--and that's coming from an English Lit major. However, the difference between this and say, The Goldfinch, is that I wanted to know more. I wanted to understand, and I knew dynamic events were unfolding before my eyes, but it was like I was viewing them through foggy lenses. I wanted to get it, and I wanted to see clearly, and I knew there was an intricate story of love, marriage, relationships, lives, and what comes of those impactful moments that make us into the people we are and the choices we make. And so, I really want to give this my all a second time around. 6. All the Light We Cannot See, Anthony Doerr - OMG, this book seeped into the depths of my soul! I loved every single thing about this book and its beautiful story set against such a horrific backdrop. I really adored the characters--Marie-Laure, her sweet father, the orphan Werner, and who can forget Frederick?! Anyway, I really like when stories jump to different characters from chapter to chapter (I'm sure there's a technical literary term for that, so if you know it, please comment below) because I find myself completely engulfed one character's storyline and turn the page and remember I am eager to jump back into the other's. And who doesn't want to visit the beautiful city of Saint-Malo?! 7. Catcher in the Rye, J.D. Saligner - This is hands down my all time favorite book. Ever. Again, I've read this book twice, and will continue to read it again and again. The first time my father dropped this novel on my nightstand and told me to read it (you didn't question my father) but I think I was a bit too young to absorb it. I read through it mindlessly and thought, that poor Holden has some issues (foreshadowing to my own life?). I think I was more interested in Seventeen magazine and the Delia's catalogue than the struggles of Holden Caulfield. I read it again last year and I find myself rooting for, relating to, and resonating with Holden and his internal struggles with anxiety, loss, coming of age, and societal norms. He made me laugh, he made me sad, and he made me realize we had a lot in common. I can't believe it was (apparently) first released in 1945 (officially 1951)! Catcher repeatedly uses the phrase, "That killed me," and in 2018, similar phrases (dead, killing me, dying) is #'d all over IG. I feel like it's still speaking to and impacting upon the current generation. Actually, at 35-ish, what do I know about the 'current generation'?! lol. Anyway, I'll probably read this one again and again! If you want a few random facts behind the book, check this out. 8. 11 Minutes, Paolo Coelho - I read this book while I was serving in Afghanistan and I think I finished it in a few days. I would run home during lunch, or sometimes to 'do laundry' and find myself devouring chapters in, well, minutes. What I appreciated about this book, and while I'll read it again, is one, it gives a voice to women using their body and their sexuality in any way they want to, and two, I had a lot in common with Maria in some ways (#notwhatyourethinking) like how she takes chances in life that may be unhealthy but that she knows will inevitably teach her a lesson and lead her to the next destination, good or bad. It's so hard to believe that this novel was written by a man, which is another reason I want to reread it. Not that men can't write about women, but how he was able to put feminine echoes of the female mindset into his prose. Plus, I've read The Alchemist too (which also deserves to be on this list and which I will read again) and he's just a brilliant writer. 9. You Are a Badass: How to Stop Doubting Your Greatness and Start Living an Awesome Life, Jen Sincero - Ok, secret's out - I've actually read this book two times already and will revisit it over and over because it really gets me going. I feel inspired, motivated, and well, like a f'ing badass. It instils the 'go out and do whatever you want to do because you can' attitude that l think everyone needs that now and then. This may not be the book that speaks to you, but if it isn't, I encourage you to find the one that will because you need something to remind you every now and then that YOU ARE A BADASS. 11. Their Eyes Were Watching God, Zora Neale Hurston - This book I've also read two times already, but as of late, I've wanted to read again. I fell in love with Janie and Tea Cake and magnolia trees, which we had all over my home-state of Texas. Hurston weaves a dreamy tale of love, race, femininity and independence, and all the decisins and societal norms that pull you one way or the other. I think I had to read this in junior high initially, then again in high school and now, I plan on reading it again. I wonder what Ms. Hurston would think about race, women and the South 81 years later? 12. The Wife Between Us, Green Hendricks and Sarah Pekkanen - I know, I know, a 'Gone Girl-esque' book on the same list as The Catcher in the Rye and Their Eyes Were Watching God, but hear me out. This was a page-turner in every sense of the word. Again, it employed that 'every-chapter-a-different-character' thing that I mentioned before and I need to re-read this because if you blink, you miss it. 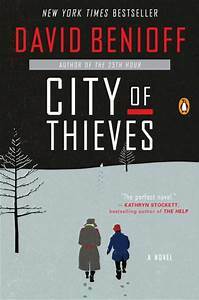 It was a page-turner, which I love, but because I was reading so fast, I think I was missing poignant clues and hints and again I love a good female protagonist! Such a sleuth! Also I didn't realize until just now that there were two authors. I think that only adds to the dramatics of the characters and how different their situational perspectives were. Ok, so that's my list and I'm sticking to it! I'd love to hear your recommendations and am surely going to kick myself on some of your input, but leave it anyway! As always, thank you for taking the time to read!